It is not often that you get to see the work on the ground of an international charity. In early February, I had the opportunity & privilege of joining the Opportunity International Canada (OIC) Insight trip to Honduras. OIC is our CorImpact charity partner & Honduras is the country where the funds raised from the tables & chairs are going. Being able to see the work first hand of OIC and their in-country implementing partner IDH (Instituto Para el Desarrollo Hondureno), was fascinating, eye opening and has solidified our faith in the work they are doing. All of these passions are closely knit together working hand in hand. 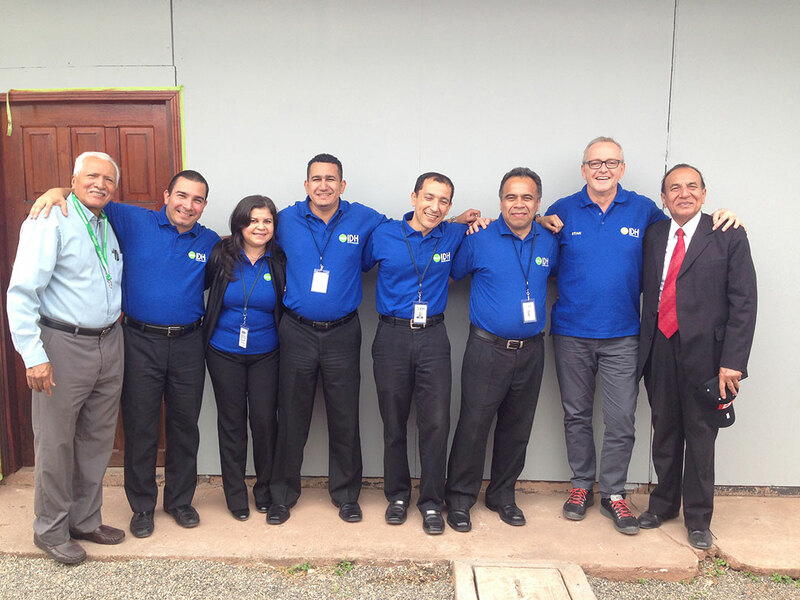 We were able to visit 8 clients on our trip to Honduras. At every stop, you could see the pride they had for their businesses and how proud they were that they had made these accomplishments. The loan officers beamed at their client’s success and for the friendships that had been cultivated. Lazaro, a loans officer from Santa Barbara, use to work for a different loan firm in Honduras. When he was hired by IDH, his clients from the former firm moved with him, a perfect example of the friendship and respect they have for one another. Stan with IDH executive & board members. Representing the passions of IDH I give you the example of Sandra (woman on the far left in the photo on the left) and her clients, ‘Dios Es Amor’ Solidarity Group. Sandra has been with IDH for around 2 years; she has over 115 clients and tries to visit them all bi-weekly. Sandra has a great passion for the work she is doing; helping the people of her country, town & neighborhood step out of poverty. As we were walking back to the bus after visiting one of her clients, people were yelling out ‘Hi Sandra’, showing that she is well respected in the area. It was wonderful to hear and see. Every couple of weeks Sandra hitches a ride out to La Zona, a mountain village 15-20 minutes outside of Santa Barbara to meet up with a group of 4 women in the Dios Es Amor group. Always greeted as a friend, Sandra has been working with Suyapa, Maria, Santos & Nora for over 1 year now. Baking bread, bookies and grinding and roasting coffee, Sandra has helped these women with financial planning, budgeting, time management & even helped them with a better work flow through their kitchen by moving tables around. Suyapa, the leader of the group has also completed the financial training course offered by IDH and taught by Sandra. 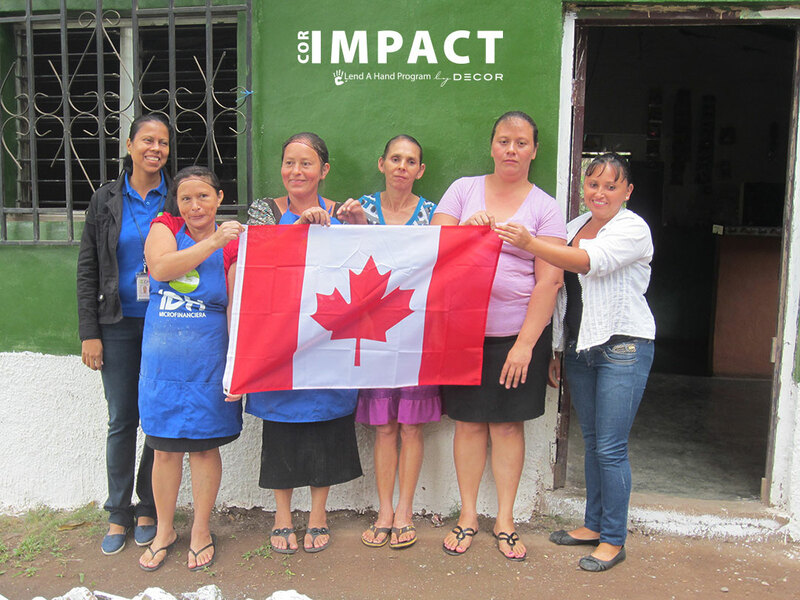 The Dios Es Amor group, was able to pay off their first loan of $480 ($120 each) in 12 months (within their terms) and have now received a second loan of $740 ($185 each). The success rate for loan repayments, not just for Sandra’s clients, but for all of IDH is second to none.